Jenna finds out that her boyfriend is cheating on her the same day she finds out she's pregnant. She decides to make the best of it and go through the pregnancy solo with the help of her friends. This book had the potential to be great. 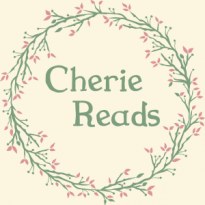 It's funny and the characters each had very distinct personalities. It was easy to read and kept me interested and entertained throughout. I loved her friend Sara despite her aggressive tendencies. Unfortunately, it's potential is not completely realized. Jenna, the main character, is a little bit over the top. She gets herself into ridiculous situations and quite often has diarrhea of the mouth. She has no filter and just spews whatever nonsense comes into her head. At some points this is what makes the scene funny. At other points, I was cringing. There were also a lot of coincidences. That she keeps having embarrassing moments in front of the same lady got a little old by the end of the book. Overall, this was entertaining. It definitely had some very funny and enjoyable moments and showed a "real" side of pregnancy where everything is not always glowing skin and happiness. 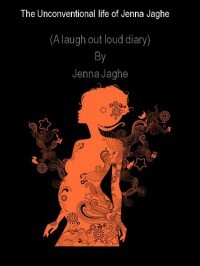 She shows the discomfort and the sometimes embarrassing side effects of a pregnancy in a humorous light. It showed how clueless some women really are until they're actually going through a pregnancy. I found myself snorting with laughter at some of her preconceived notions. She also shows a dysfunctional mother/daughter relationship in a humorous light. Really, this book's saving grace is that it's funny.This book is in the same vein as Bridget Jones. This is what I imagine Bridget Jones would be like if she were pregnant. If you enjoy that type of sincerity and humor then give this one a look.